Sirdar have combined the traditional standards of quality which have delighted generations of users, the the latest fashion flair for colour and design. Easy care Snuggly yarns remain the natural chice for the knitting and crochet enthusiast. Snuggly garments can be machine washed and tumble dried and will retain their supersoft appeal wash after wash.
You will spoilt for choice when you see the classic pastel and trend setting vibrant colours in the full Snuggly range. Beautiful designs and delicate styles with multiple garmets on each pattern. 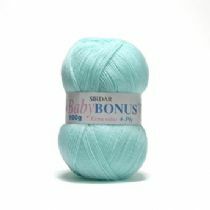 Sirdar//Hayfield Baby Bonus is a great value 4 ply 100% premium Acrylic yarn available in a range of shades suitable for baby garments. The balls are 100g and knit to any other Sirdar 4ply patterns Sirdar/Hayfield Baby Bonus is also available as Baby Bonus DK, Baby Bonus Lustre DK, Baby Changes DK Hayfield Baby DK and Hayfield Baby Chunky. King Cole Comfort 3ply Yarn 100g. 60% Supersoft Acrylic, 40% Supersoft Nylon. 616 Metres/678 Yards (approx). Needles 3.25mm/US3. 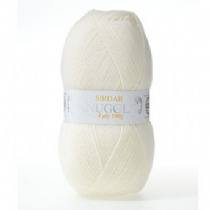 Sirdar Snuggly 2 Ply A fine, classic pure white yarn that is wonderful for tiny baby knits and delicate shawls. Easy care, Snuggly 2 ply will keep its quality through machine washing and tumble drying. 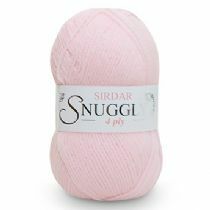 Sirdar Snuggly 3 Ply 50g We have delicate pastel baby shades in this classic 3 Ply yarn that is wonderful for making beautiful shawls. Snuggly 3 Ply will keep its quality through machine washing and tumble drying. Sirdar Snuggly 4 Ply 50g. Snuggly is the perfect quality yarn for tiny and new born babies first hand knits. It is soft and gentle, and comes in baby fashion colours as well as classic pastel shades. 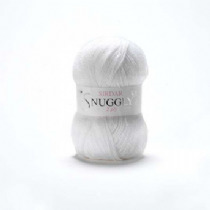 Snuggly 4 ply will keep its quality through machine washing and tumble drying. Our classic 4 ply baby yarn is the perfect yarn for shawl knitting and comes in classic white and cream in the 100g ball. Snuggly 4 ply will keep its quality through machine washing and tumble drying.